Jenny Boully is the author of three book-length essays, The Book of Beginnings and Endings, [one love affair]*, and the highly popular The Body: An Essay, which has subsequently been excerpted and anthologized in The Great American Prose Poem, The Next American Essay, and The Best American Poetry, selected and edited by Robert Creeley. Her work regularly appears in the journals Boston Review, Maissonneuve, Conjunctions, McSweeney’s, How2, Nerve, and Tarpaulin Sky. 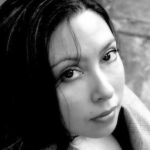 She was born in Thailand, raised in San Antonio, and now lives in Chicago, where she is Assistant Professor of Nonfiction Writing at Columbia College.